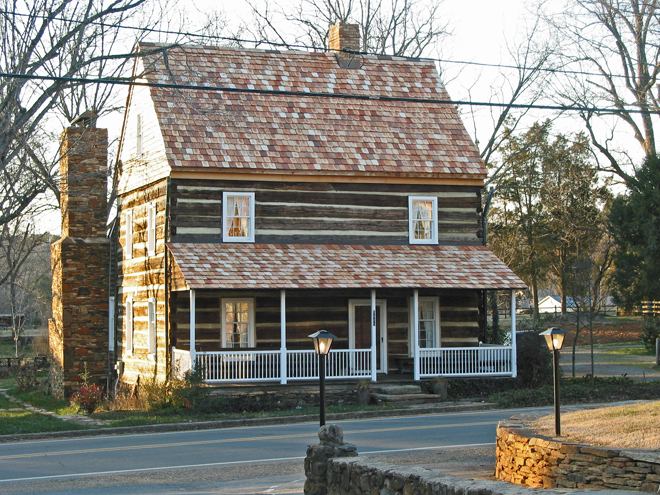 Dr. Dobson House ca.1830 - Davidson County, N.C. 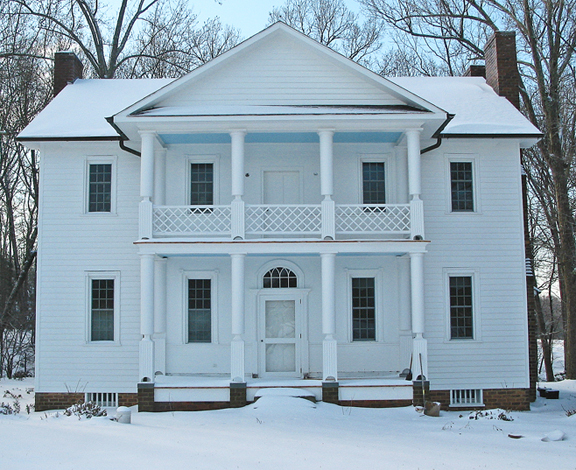 Built by the renowned Swicegood cabinet making school of Davidson County, N.C. this house exhibits the Greek Revival architecture using uniquely designed columns and a Chinese lattice work balustrade. Original paint decoration inside combined with typical Swicegood detailed wood work. 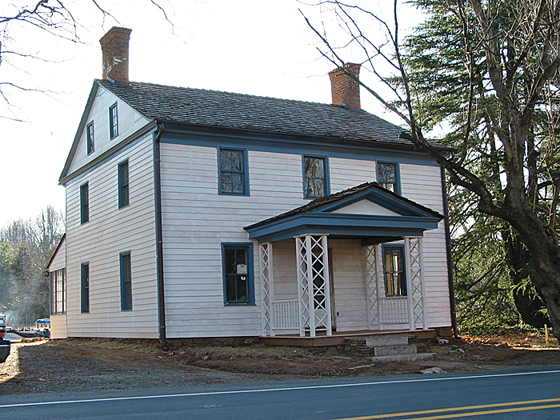 Jacob Loesch House 1775 or earlier - Bethania, N.C.
Johann Jacob Loesch (1760 - 1821), Salem & Bethania ( ) — A man of many trades, Loesch worked as a locksmith, gunsmith, clockmaker, silversmith, pipe organ designer, and waterworks engineer. His silversmithing efforts are known to range from 1787 to 1802. Michael Hauser House 1775 or earlier - Bethania, N.C.
Michael Hauser was the magistrate of Bethania in the 1780s, and the townspeople picked up their mail at his house. The house became the town's post office again in the 1950s and remained so into the 1970's. 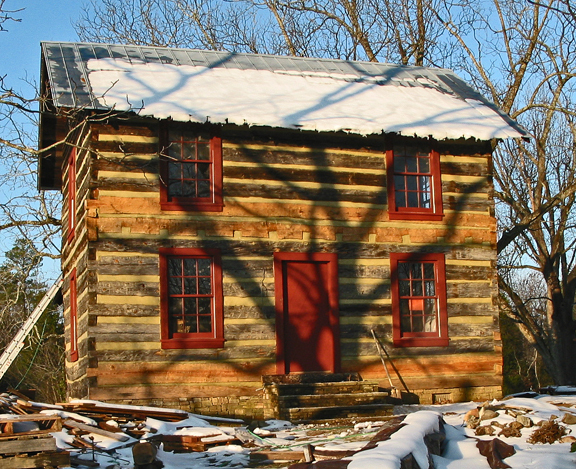 Judd Log House ca. 1860 - Davie County, N.C.